Since 2005, Bed Bug Free has been licensed, certified, and insured to provide the commercial businesses and residential homes of Ohio including the Greater Northwest, Greater Northeast, Cleveland, and Akron areas with a plethora of quality bed bug services. Bed Bug Free technicians and inspectors have been rigorously trained and have the experience, as well as skills in the trade to be confidently labeled experts. With the use of high-end equipment and effective products, our experts offer our valuable customers premium results. We at Bed Bug Free feel superior execution of services rendered is not the only priority, but to make your experience with us satisfactory, we delight in upholding high moral standards and friendly customer service to help you feel comfortable and confident with our abilities. With world traveling being fairly easy with ease of flight, bed bugs have become a growing epidemic in the United States in the last decade. But with the experts of Bed Bug Free fighting back, you have a reliable and effective source for bed bug services for commercial buildings or residential dwellings. Bed Bug Free offers our valued customers the following bed bug services; Consultation Services, Education Services, Detection and Removal Services, Visual Inspection Services, K9 Inspection Services, Heat Extermination Services, Chemical Extermination Services, and Prevention Services. Bed Bug Free, catering to commercial businesses and residential homes, provides a consultation and education service in an effort to help our customers better understand bed bugs, Bed Bug Free Services and pricing, as well as the inspection and extermination process. 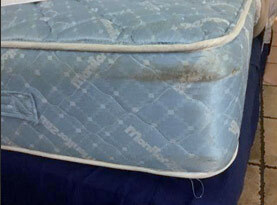 We understand people are often concerned with what bed bugs are capable of as well as any consequences of the treatments to exterminate them. With our professional conducting a consultation and education service for you, you can ask all the bed bug related questions you can think of! Bed Bug Free will often perform a comprehensive inspection service with either an expert visual inspection or our K9 and handler inspection; or even both if need be. Our visual inspectors have countless years of experience and know the bed bug’s habits to better perform a visual inspection throughout the entire building. 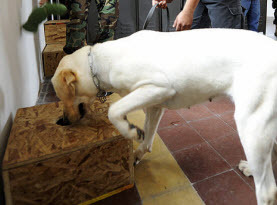 A K9 team inspection consists of a handler and his canine partner who have both been intensely trained and certified to perform a fast and effective bed bug inspection in homes and business throughout Cleveland, Akron, Greater Northwest, and Greater Northeast areas of Ohio. 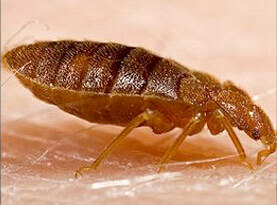 Bed Bug Free provides efficient extermination services for homeowners and business owners. We offer two effective methods; heat (generated by either gas or electricity), or chemical application. With limited preparation by our customers, asked only to remove the excessive clutter, our experts will treat the building, including the cracks and crevices, as well as pulling the beds apart (as well as reassembly) to ensure all bed bugs and viable eggs are destroyed. 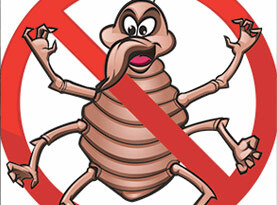 Bed Bug Free offers many additional bed bug services such as advice on bed bug prevention to assist our customers of Ohio including the Greater Northwest, Greater Northeast, Cleveland, and Akron areas to better understand what a bed bug infestation in their home or business means and how to avoid future infestations. If you suspect bed bugs in your home or business, call Bed Bug Free today to schedule anyone of our extraordinary bed bug services!